Everyone loves that post-salon feeling. Your hair feels transformed and your confidence has been well and truly elevated. Unfortunately a weekly trip for a wash and blow dry isn’t a luxury we can all indulge in, so I, like many others, have been in search of products that bring the salon experience, and more importantly the salon results to my bathroom. 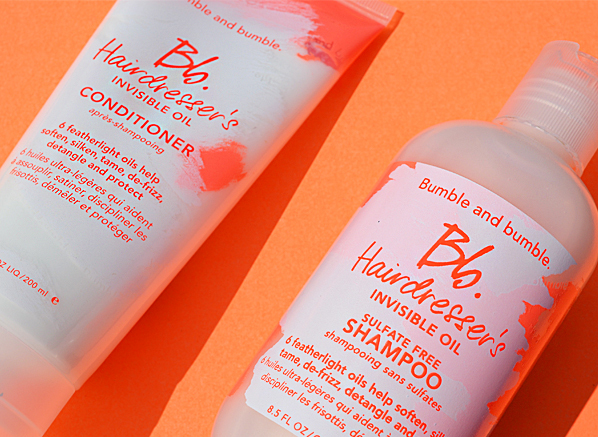 The Bumble and Bumble Hairdresser’s Invisible Oil family is the range my hair has been waiting for. The range features products that are infused with a blend of 6 feather-light oils, Grapeseed, Safflower Seed, Sweet Almond, Macadamia Nut, Argan and Coconut oil. Which all work to soften, silken, detangle and de-frizz your locks, without weighing it down or greasing it up one bit. The foundation to this hair-loving range begins with the Bumble and Bumble Hairdresser’s Oil Shampoo and Conditioner. This powerful duo softens every hair strand like no other hair products I have used before. With a range that is aimed at revitalising dull-looking hair with a boost of shine and moisture, the worry can be that the hair will look too oily. But fear not, because the range delivers just the right amount of oil to leave the hair looking perfectly nourished. Designed for those with dry, coarse or brittle hair the range is perfect for those that are looking for a total transformation. The sulphate-free shampoo and detangling conditioner are infused with the 6 softening oils and will leave the driest of hair looking better than ever – get practising your hair flips ladies! Once you’ve stepped out of the shower many people will stop right there with their hair care regime. 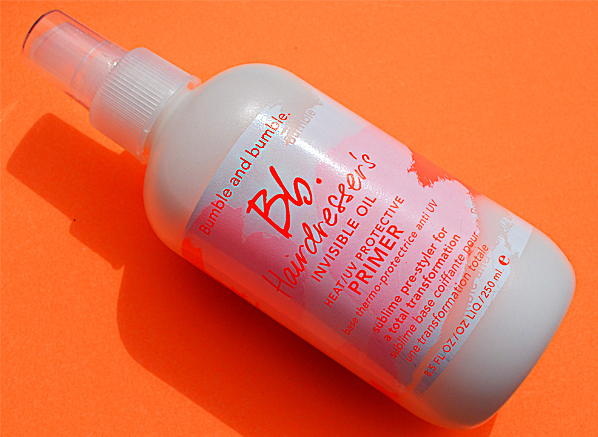 But priming your hair will be a step you’ll never want to miss after trying the Bumble and Bumble Hairdresser’s Invisible Oil Primer. The primer protects hair against breakage, heat-styling and UV damage and is an easy step that will take your hair care to new heights. If like me and you’re partial to blow drying a little volume into your hair, or you just like to ensure you’re protecting your hair from the damaging effects of styling tools then this mist of wonders will be your saviour. You can use this primer on wet or dry hair, spritzing it mainly on the ends to lock in total protection from heat and UV rays. 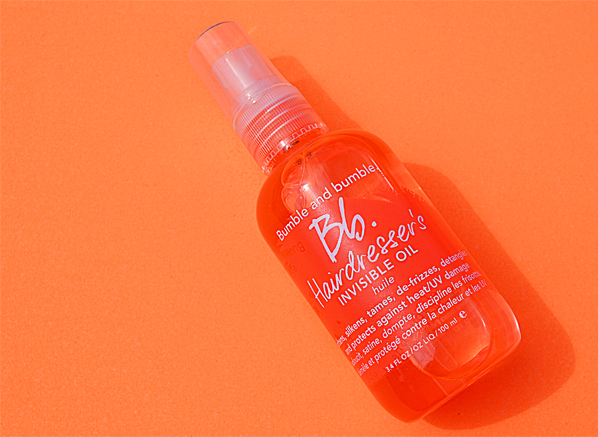 If you’re prone to breakage at the ends of your hair the Bumble and Bumble Hairdresser’s Invisible Oil will be the perfect finishing touch to your styles. For use on wet or dry hair, the oil gives hair a final boost of nourishment, to keep it looking shiny and healthy. Not only will the oil restore moisture to dry or coarse hair, but it can also be used to finish off all your hairstyles. 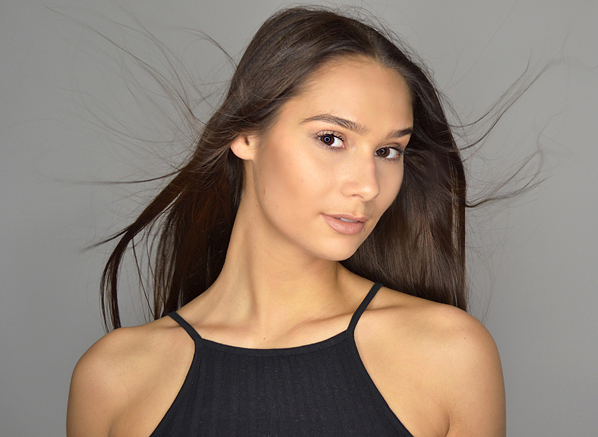 I’m a huge fan of a sleek, high-ponytail and this is a great product to tame unwanted frizz and keep annoying fly-aways at bay. If you’re reaching the end of your current hair care products and like me are after something that will give you lustrous looking shine, I would highly recommend this range. It’s the range that you’ll not be able to stop shouting about and your friends will not be able to thank you enough for recommending. It has even encouraged me to let down my go-to pony-tail and top knot every once in a while and show off my new sleek and shiny mane. This entry was posted on Friday, July 17th, 2015 at 12:07 pm and is filed under Haircare, Tried & Tested, Uncategorized. You can follow any responses to this entry through the RSS 2.0 feed. You can skip to the end and leave a response. Pinging is currently not allowed.